At the moment the total PS Foam waste from demolitions in Europe equals up to 200 Kilo Tons (“KT”, equivalent of 1,000MT) per year and is expected to increase to 1,000KT. 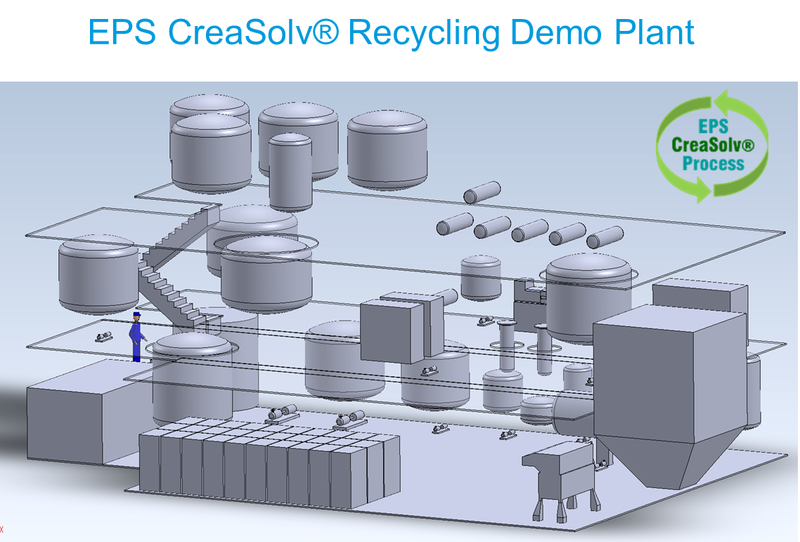 The Project is to be the first facility to use the patented CreaSolv® technique to recycle PS Foam, which meets EU regulations on an industrial scale. Pre-sorted EPS waste from construction and demolition sites will be used as input for the demo plant. The end product of the plant is cleaned PS. A residual product is the separated HBCDD. This will be destructed by the Bromine Recovery Unit (“BRU”) to be used as raw material for brominated products, such as flame-retardant. The Polystyreneloop initiative is funded through the entire value chain, has a new and unique organisational form incorporating all parties throughout the entire value chain and is organised as a cooperative. It is supported with a loan from RABO bank and has received a grant under the umbrella of the EU initiated LIFE program, the project is known under LIFE-PSLoop LIFE16ENV/NL/000271. Within Europe we do have a large volume of EPS insulation material which is today saving CO2 during the use of energy saving but needs to be safely handled during the end of life phase. With the PS Loop demo plant, recycling PS Foam waste by the value chain in a cooperative form not only contributes to the sustainable use of plastics, also the high energy consuming production process from petroleum to virgin polymer is reduced. With the commissioning of recycling plants for PS Foam, only 15% of the energy used for processing virgin materials is needed. This reduces CO2 emissions and the usage of other materials that have significant impact on environment. Preliminary findings of the Life-Cycle Assessment (March 2017), showing a key improvement in carbon footprint, amounted to 50% lower carbon footprint for 1kg of PS production compared to incineration. It is expected that more than 20 million tons of EPS containing HBCD is stored in the envelope and ETICS system in Europe. Lack of a definition of plastics containing a POP being or not being hazardous waste. In case hazardous waste needs to be recycled a very heavy administrative burden is needed where EPS with HBCD is present in building and construction for 30-100 years and it is proven that no risk has been identified. Lack of availability of EPS waste as it needs separation at the B&C site. Collection, transport and storage for plastics containing POPs issue of regulation. In total 44 entities from 12 countries, viz. Austria, Belgium, France, Denmark, Switserland, Poland, Germany, Italy, Czech republic, Finland, Singapore, and the Netherlands. PSLoop calls for partners to join, making their waste available for recycling.